Its about time, I thought you guys were gone for good. Glad to have you back. Really like the new server. Yea we had a lot of problems with our server, to this day we still don't know what went wrong. 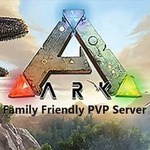 We have no problem hosting any other game but for some reason ARK just didn't want to show up in the ARK servers list. But it's all good, now by having it professionally hosted it takes the stress off my back giving me more time to play and do other things.